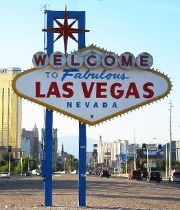 The 2011 SHOT Show kicks off January 18 in Las Vegas at the Sands Convention Center. Running for four days through the 21st, SHOT Show, the largest gun- and hunting-related trade show in the world, will attract over 1600 exhibitors and more than 30,000 attendees, plus nearly 2,000 media representatives. Those attending SHOT Show can create a customized booth visit guide using the NSSF’s web-based interactive Show Planner. 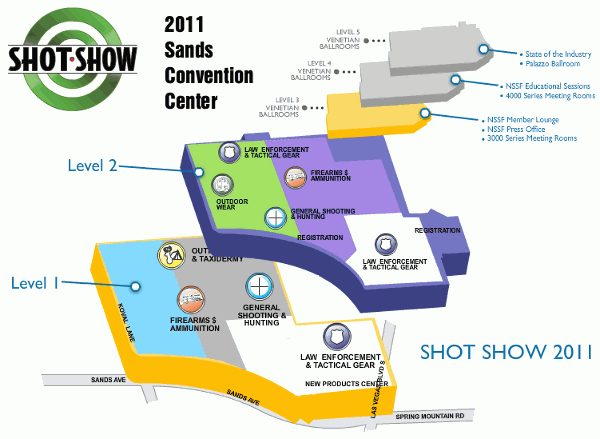 You can also access a List of Exhibitors and a Show Floorplan through the official SHOT Show Website, www.ShotShow.org. Problems with Hotel Bookings — Check your Reservations! 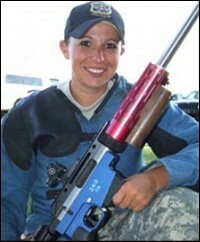 Share the post "SHOT Show Starts Next Tuesday — Confirm Your Reservations"
SGT Sherri Gallagher, winner of the 2010 NRA High Power Rifle Championship at Camp Perry, was recently named the U.S. Army’s Soldier of the Year (SOY). SGT Gallagher, who comes from a family of champion shooters, is the first female to win the SOY Award. The Soldier of the Year competition is an intense 12-month event evaluating simulated battle operations, urban orienteering, first aid, marksmanship, and other soldiering skills. In October, 2010, Sherri beat a talented field of other soldiers at the final stage of the SOY Competition — the ‘Best Warrior’ event held at Fort Lee, Virginia. Last week, Sherri appeared on the Fox News show Fox and Friends to discuss her Soldier of the Year accomplishment as well as her background in competitive shooting. SGT. Gallagher began shooting at the age of five, as part of America’s leading family of rifle shooters. Sherri’s older sister Michelle Gallagher, mother Nancy Tompkins, and step-father Mid Tompkins have all won major championships. Only two women have ever won the National High Power Championship. The first was Nancy Tompkins, and the second was her daughter, Sherri. Sherri is getting ready to deploy to Afghanistan where she will help train Afghanistan National Army soldiers in marksmanship. As part of a U.S. Army Marksmanship Unit (USAMU) training group, SGT Gallagher will pass on some of the rifle skills that have made her a champion. As she heads off to the Afghan war zone, we wish her (and all U.S. Service personnel) a safe and successful deployment. Story by KJillson, courtesy NRA Blog; video courtesy of Fox News Insider. Share the post "Camp Perry Champion Sherri Gallagher on Fox and Friends"